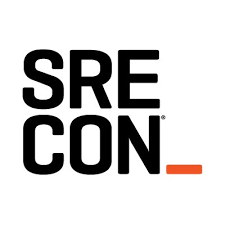 First day of SRECon! I was a little unsure about spending the whole first day on workshops. On one hand, unless the topics are something you need to learn, it might not be worth the budget to stay an extra day. On the other, it's a gentle start to the conference, where you get all of the hallway track and booth visiting out of your system, but don't need to mentally switch gears every 45 minutes. For me, it ended up being worth the extra time and people I talked to were generally in favour. I've vowed to have this be the conference where I don't collapse in coffee-and-pastry-fueled exhaustion mid-way through the last day (especially since I'm speaking near the end), so I skipped the first workshop, did a bit of work and then went out for a walk to get some sun in my brain and steps on my fitbit. This was pretty successful and I'll try to find time to do it again tomorrow. In the afternoon, I went to @bridgetkromhout's great Kubernetes workshop. I've been to various tutorials at other conferences and found them lacking in one of two ways: either they don't have any exercises, so they stay very theoretical, or they do, but the conference wifi can't handle everyone downloading the binaries. Bridget avoided both traps by configuring hundreds of Azure VMs in advance, and giving each attendee a card with IPs for their own three VMs. This was extremely cool, and meant that everyone could follow along without drama. Bridget's an engaging speaker, and I enjoyed this workshop a lot. I also appreciated that she emphasised that Kubernetes is not the right answer for everyone. It's cool but that's not enough reason to choose a technology. "Ask your doctor if Kubernetes is right for you". Hahahaha. This was a fun workshop and I learned a lot. There was a clever url for the slides, too: http://container.training. Memorable! The rest of the day was hallway track, meeting what felt like hundreds of people I've worked with in the past, and drinking too much coffee. I spent some time at the Squarespace booth, met a bunch of people and explained (in a kind of over-caffeinated way) why it would be cool to come work with us. (Which it would! Check out our Site Reliability roles in New York, Portland and Dublin!). And then we went for ramen.